New kid on the block and Head Concussion recording artiste Chan Dizzy,one of Jamaica's fastest rising young talent, continues to make major strides in his musical endeavours. Dizzyness showcases Chan Dizzy's versatility as he addresses a wide cross-section of topics ranging from burning out his haters, love, envy and a number of other current topical issues. 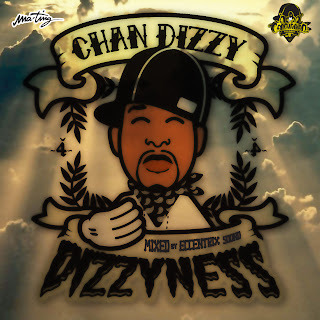 Dizzyness also features three exclusive freestyle done by Chan Dizzy, Black and Yellow Remix, Love The Way You Lie Remix and Warning Shot Remix. Chan Dizzy whose real name is Kamar Ho-Sing,is now in the final staging of preparation for month long tour in Zimbabwe and South Africa, but not before releasing his highly anticapted new video for brand new single Hello Badmind. Hello badmind which has been released two weeks ago is already dominating local and overseas radio stations and events. "Following on the heels of his Nuh Strange Face single produced by Russian, Chan Dizzy will now be focusing his attention on promoting the new single Hello Badmind, where he dedicates a song to everybody who has ever envied Chan Dizzy " said his Public Relations Manager Bradley Richards.